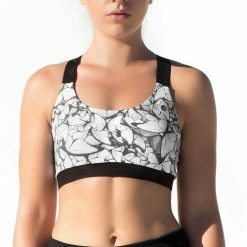 This sports bra is lined with a mesh in its front and at the back. The straps are crossed, forming an opening in the different strands of common. GALÉ SPORTS BRA – DISCRETE AND CLASSY DETAILS IN SPORTS BRA! 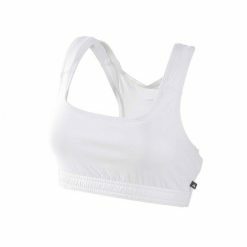 Galé sports bra is made of very comfortable fabric. It is available in a variety of cheerful and discreet colors. Each bra has a detail with different color, in its front, giving extra beauty to the design. It provides excellent support at the time of exercise, being suitable for any type of sport (more or less impact). In order to make a perfect match for your activity, try Itacaré corsario or Jatiúca singlet.